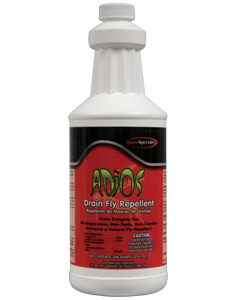 ADIOS Drain Fly Repellent is a thick gel that clings to pipes and drains to rid them of drain fly infestations. 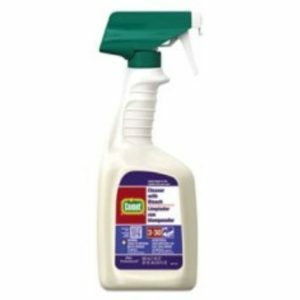 Repels annoying and unsanitary drain flies with Citronella, a natural fly repellent. ADIOS is biodegradable, non-toxic and non-caustic, made only with ingredients which qualify for the 25(b) exemption in EPA pesticide regulations. 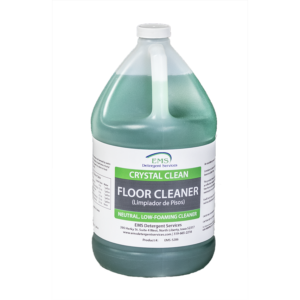 This product qualifies for exemption from registration under the Federal Insecticide, Fungicide, and Rodenticide Act (FIFRA) and is in accord with USDA 21 CFR 178.3400 and/or found on GRAS list. Use in grease traps, garbage disposals, dumpsters, sewer lines, drain lines, downpipes, and septic tanks. Great for nursing homes, schools, prisons, funeral homes, apartments, kennels, clinics, porta-toilets, and marinas.